If you live in the San Francisco Bay area, whether you like basketball or not, you regularly hear about the Golden State Warriors. The broadcasters cover the team’s wins with such explosive enthusiasm you can’t help but smile. And even if you don’t really care about basketball (like me) you have heard of Steph Curry and Kevin Durant. Perhaps it is because so many 8-12-year-old children wear Warrior’s shirts with Curry or Durant on their back. Basketball fan or not, if you live in the Bay area you know about this team. 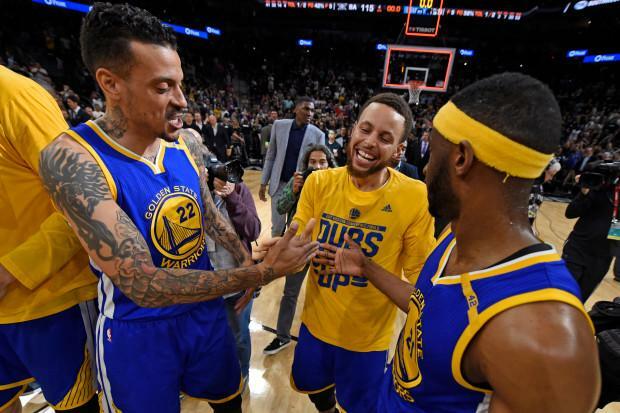 What may surprise you is that the Warriors are also known as the “unselfish team”, the team that practices mindfulness and experiences empathic joy. Marsh’s article focused on how empathic joy, mindfulness and cooperation are the secrets to the Warriors success. In addition, there is growing research for other sectors that suggests that people experience greater pleasure after succeeding as part of a team rather than doing it on their own. In other words, if you experience joy, I can experience joy. Also called empathic joy. Who would ever think that mindfulness, empathic joy and cooperation would be the cornerstone of the 2018 NBA Champions? Marsh concludes…that perhaps “the best way to compete is to cooperate”. What would happen if your work team adopted this approach? MINDFULNESS: Be in the moment- don’t worry about tomorrow or yesterday, just focus on the very moment you are in. For example, at a meeting, don’t worry about your next meeting or your next email, just engage with the people in the room in the very moment. Will a cooperative spirit emerge? COOPERATION: Who could you cooperate with this week? How could you celebrate your collective wins? What small step could you take this week to be “all about the group”? EMPATHIC JOY: Celebrate as a team, even if it is something small. Just take a moment to celebrate your cooperation. Then check yourself, do you feel energy and happiness that brings a smile to your face? Did others smile when you smiled? That’s empathic joy. Oh, and in case you need some inspiration to see this in action….the Warriors are playing the Portland Trailblazers Feb 13 at 7:00pm PST. Why not learn from the masters of cooperation, empathic joy and mindfulness!